Creative Diagnostics lyophilized exosomes were isolated from different biological sources including human biofluids of certified healthy donors (plasma, serum, urine, saliva) and different cell culture supernatant. Purified exosomes are produced through a combination of ultracentrifugation and microfiltration procedures. Exosomes are subsequently quantified and validated for overall protein content and particle number by NTA with Nanosight. Lyophilization does not alter the stability of exosome proteins and nucleic acids, in comparison to other storage methods, including storage of fresh exosomes at -20°C. Lyophilized exosomes are easy to store (+4°C) and ship and are stable for long term (up to 36 months). • Lyophilized exosome standards from human Biofluids (plasma, serum, urine, saliva) of healthy donors. • Lyophilized exosomes from cell culture media (COLO1, MM1, BLCL21, HCT116, SK-N-SH, U87, PC3, BPH-1, DAUDI, A549, K562, mouse cell B16F10). Exosomes are available from a large cell line bank (over 100 cell lines) on request. • Fluorescent labeled Exosome Standards: Upon request, Creative Diagnostics can also provide fluorescent labeled Exosome Standards from human biofluids or cell media for EV tracking in fluorescence microscopy experiments. 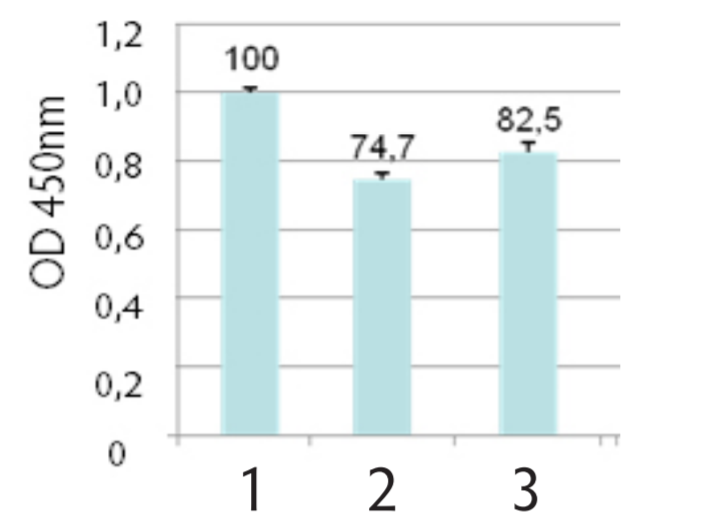 Assay calibration, Control for exosome quantification, protein marker analysis using different techniques. Extraction and analysis of exosome nucleic acid. Standardized positive controls for immunocapture performance evaluation. Flow cytometry. Electron microscopy. 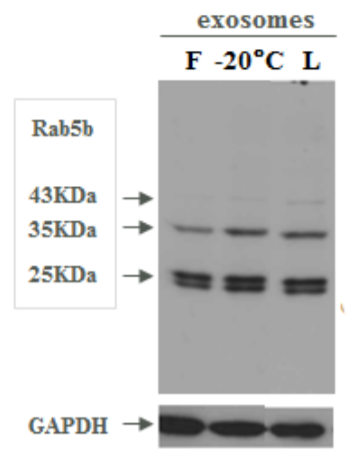 We have compared the effects of lyophilization on the preservation of exosomal proteins with respect to other storage methods such as storing fresh exosomes at -20°C and confirming their stability over 36 months at 4ºC. Lyophilization do not substantially affect exosome count or biomarker expression compared to other storage methods (Fig 1, 2, 3, 4). 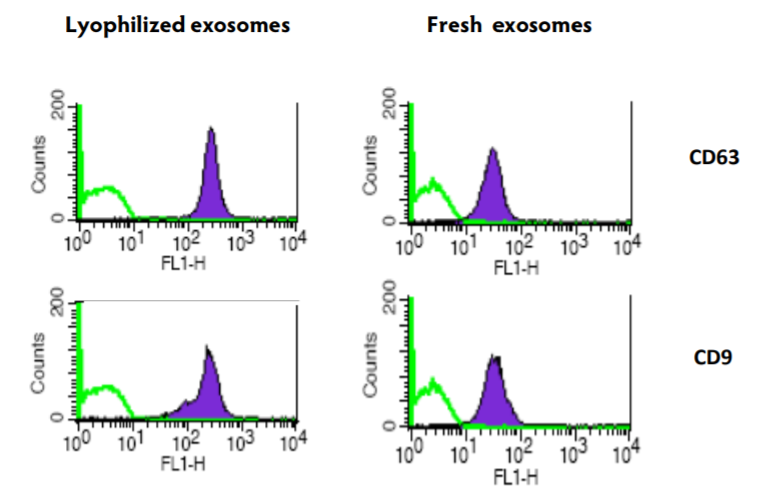 Comparing different storage methods of exosome standards (fresh vs. frozen vs lyophilized) with an anti-CD81 ELISA assay, the loss of signal compared to fresh material is minimal when using lyophilized exosomes (CV - 15%) (Fig 4).